Far too often, professional helpers relate to their clients as ‘free floating heads’ – or ‘belief machines’ – or ‘interpretation machines’. However, human beings are ’emotive bodies’ first, and ‘socialized-cultural-beings’ second! “(Counselling) Clients … come in and, one way or another, tell their story and discover or construct new stories to tell. 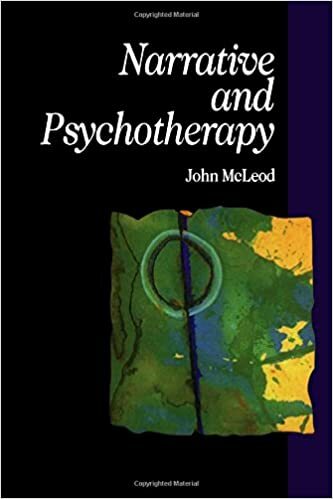 Therapists do not usually disclose stories of their own personal troubles, but instead offer their clients more general, almost mythic stories of how people change or what life can be like. Implicit in the therapist’s story is an image of the ‘good life’.” (McLeod, 1997/2006). E-CENT counselling is interested in the stories of our clients, and we have helpful stories to share with them; and also ways of helping them to explore and re-write their stories. Some of this is described in Chapter 8, where I introduce the Jigsaw story model, which is a guide to focusing on the client’s stories, and to remember to relate the various bits of their stories to each other, and to look for patterns and inconsistencies. But first, let us review the ‘narrative’ approach of E-CENT, by comparing and contrasting it to some of the more traditional approaches. (i) Similarities: E-CENT accepts that human beings are immersed in social narratives, and that they apprehend their environments in terms of narrative elements of characters, plots, dramas, stories, cause and effect imputations, etc. (See: Perry, 2012, pages 71-88. And McLeod, 1997/2006). I believe humans function largely non-consciously, and view the world – non-consciously – through frames of reference derived (interpretively and automatically) from their past (social) experiences. And these narratives are emotive or feeling stories, which provide meaning and structure to the life of the social-individual. (ii) Differences: E-CENT does not subscribe to the White and Epston (1990) strategy for dealing with narrative disturbances[i]. Instead I have created my own processes of narrative therapy. I also avoid using McLeod’s commitment to postmodern perspectives. The E-CENT perspective on narrative is grounded in our conception of the human being as a socialized body-mind-environment-whole. So there is a real, physical ‘me’, and a real physical environment in which I am embedded. We do not advocate the view which says “all there is is story!” And the stories I tell myself are dependent upon not only my physical existence in a physical/social world, but also upon how well I slept last night; how well I have eaten today; how much physical exercise I have done recently; how hydrated my body-brain-mind is today; how well connected I am to people in significant relationships; how much pressure I am under (actually and experientially) – and what my coping resources are (or seem to me to be); and so on. So E-CENT theory only deals with grounded narratives: or embodied-narratives. [i] White, M. and Epston, D. (1990) Narrative Means to Therapeutic Ends. New York: Norton.